After two hours of driving east from Sofia, I reach the small village of Karnare. It’s late morning and I see around 50 children running, some barefooted, towards the soup kitchen. As they approach, the aroma coming from the large pot of bean soup fills them with growing excitement. 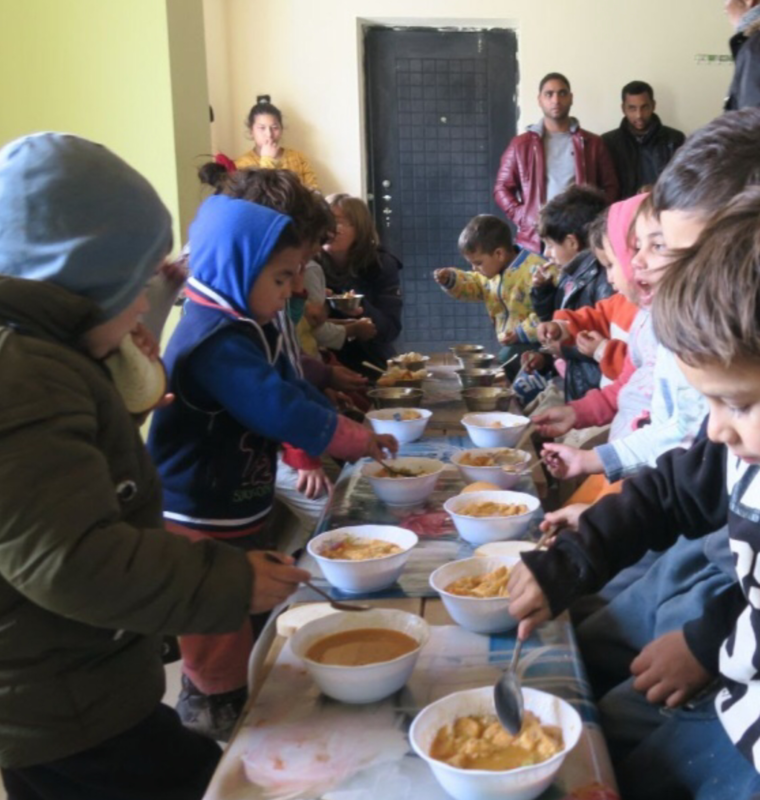 For most of these Roma children, this will be their only meal of the day and they will return every day during the winter, thanks to the love and care shown by our partners in Europe. Chattering and smiling, they shuffle along the wooden benches and wait patiently for lunch, with a bowl and spoon. After eating their bread and hot soup, the children hear about the good news of Jesus and join in a prayer. Still smiling, they leave the friendly warmth of the kitchen and return to their freezing homes; shacks made of bricks, cardboard and rags. This ministry takes place because somebody cares. It costs £5 to feed each child for a week. Every donation to our WinterHelp appeal enables our partners in Europe to help more children. Your gift means so much to these poor families. This winter many of TEN’s partners will again offer assistance to the most vulnerable people in their communities. Without the generosity of UK Christians only a small number of elderly people and families can be helped. Donating money towards TEN’s WinterHelp Appeal enables our partners to offer hot meals to Children, buy and distribute food parcels, logs for stoves and other vital provisions. This costs much less than it would to source and send supplies from the UK. How can you give to WinterHelp? » Send a cheque made out to ‘TEN’ and write WinterHelp on the back. Winters in Eastern Europe bring freezing-cold conditions. Many poor people struggle to find sufficient warmth, to provide hot meals, and their health is put at risk. There is little or no state aid.